SOLD! FULL PRICE IN ONE WEEK. Stylishly updated 2 bedroom 1 bath downtown condo in superb location just steps from the beach! 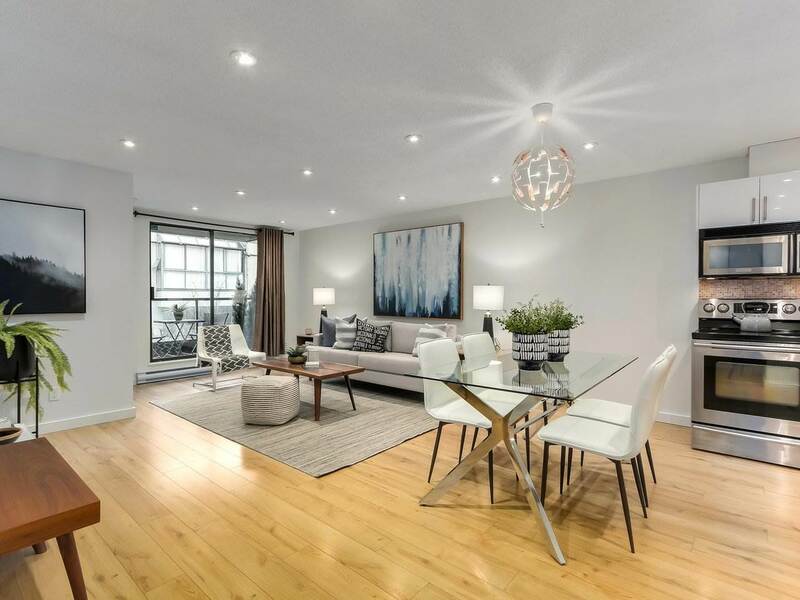 Features include an open concept living space w/chic bright kitchen & bath, large master bedroom w/nook, new doors & tile, built-in closets, quiet south exposure w/large balcony perfect for BBQ'ing. Solid building thats been re-piped (04), newer membranes, free laundry, and common rooftop patio with amazing sunset and water views. Steps from the Seawall, Sunset Beach, Downtown, Aquatic Center, and Granville Island ferry. One parking & locker. One cat allowed .. sorry no dogs. Rentals allowed but restricted to 33. Huge investment potential w/future re-development of site. Quieter unit that does not face Pacific Street. Open house Sunday Jan 20th 12-1:30pm.